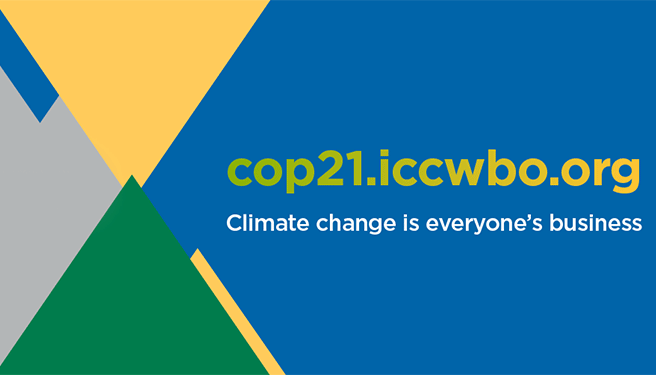 As the business “focal point” for the United Nations (UN) climate talks and the landmark Paris Climate Conference (COP21), ICC has launched a one-stop website to mobilize business in the run up to and during the two-week conference. In less than 50 days, over 40,000 participants will converge in Paris to conclude talks on a new global climate agreement. Launched during Climate Week New York, the dynamic website provides overviews of and access to global business positions and recommendations, including ICC’s Carbon Pricing Principles. The website’s newsroom will help visitors keep pace with developments, providing easy access to the latest climate policy news, ICC press releases, speeches, videos and infographics. “The COP21 website is ICC’s response to the need for bespoke support services for member companies of the world business organization,” said ICC Secretary General John Danilovich. The user-friendly ‘Road to COP21′ website also provides a comprehensive overview of the range of briefings and events hosted by ICC and partners during COP21. These include the official COP21 Business Day on 4 December and the International New York Times’ Energy for Tomorrow 2015 conference on 8 December. With a network of over 6 million members in more than 130 countries, ICC is campaigning for an ambitious global climate agreement which works with business to speed emissions reductions and build climate resilience. The ‘Road to COP21’ website will bolster ICC efforts to showcase how private sector innovation, investment and expertise will be vital to successfully tackle climate change and promote sustainable and inclusive growth. Follow @iccwbo and @johndanilovich on Twitter.